A 20-year-old Sarasota woman already charged in connection with two burglaries of vehicles on Siesta Key has been arrested for a second time and charged with four additional counts of Burglary of a Conveyance, the Sarasota County Sheriff’s Office has announced. Sarah A. Young of 3616 Teal Ave. initially was arrested on Sept. 19, the Sheriff’s Office reported last week. She was taken into custody again on Sept. 22 after detectives allegedly connected her to another incident on Higel Avenue, two on Island Circle and one on Roberts Point Road, according to Sheriff’s Office reports. Young again was ordered held on $6,000 bond, as she was with the earlier charges, a news release said: $1,500 on each of the new counts. Her arraignment is set for Oct. 27, according to Sheriff’s Office Corrections Department records. She was still in jail on the morning of Sept. 28, those records also showed. In announcing Young’s second arrest, the Sheriff’s Office added that detectives were continuing their investigation and expected to link Young to yet more burglaries. The first two cases to which Young allegedly confessed involved burglary of one vehicle in the 4800 block of Higel Avenue and a second in the 5200 block of Siesta Cove Drive, according to Sheriff’s Office reports. In the latest Higel Avenue case — also in the 4800 block — the victim told detectives that on July 13, someone took his Titleist golf bag and equipment from his unlocked vehicle, which was parked in front of his home, the report noted. Following Young’s earlier arrest, detectives wrote that they had taken a complete inventory of items they had found in a house at 2375 Tangerine Drive in Sarasota. Young told them she had used the house as a hiding place for items she allegedly had obtained illegally, the earlier report explained. 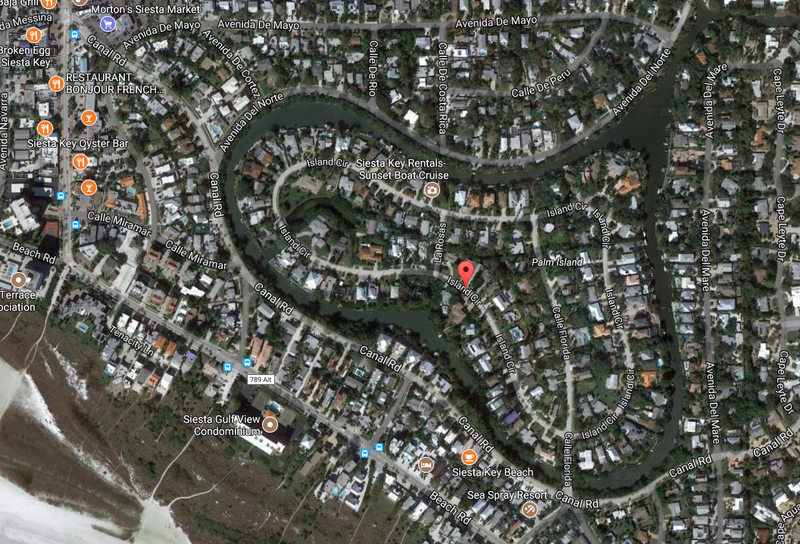 The report also pointed out that Young earlier had admitted to numerous burglaries in a specific area of Siesta Key during June, July and August. Among the latest cases, the first on Island Circle also was reported on July 13, the report said. It took place in the 400 block, the report added. That victim — who had left his vehicle unlocked in front of his home — told officers that he was missing miscellaneous items of clothing and a “VW embossed roadside emergency kit,” the report said. That kit was found among items in Young’s vehicle, the report added. The second case on Island Circle case — in the 200 block —occurred on July 13, as well. That victim told officers she, too, had left her vehicle unlocked in front of her home. In this case, the victim said that a child’s violin case, a passport and miscellaneous jewelry were missing. The violin case, with the violin still inside, was among the items recovered from the Tangerine Drive house, that report noted. In the fourth case — also reported to have occurred on July 13 — the victim, who lives in the 3900 block of Roberts Point Road, told detectives, he, too had left his unlocked vehicle in front of his house. He said an Apple iPad Mini had been removed from it, the report continued. The iPad was recovered from Young’s vehicle, the report noted. Detectives were able to identify Young from video surveillance provided by the owner of a residence near the house where one of the first two incidents occurred this summer, the earlier Sheriff’s Office report explained. Detectives learned through interviews of the owners of the Tangerine Drive house that Young had been living there and working at the Tasty Home Cookin restaurant in Tuttle Bee Plaza on South Tuttle Avenue in Sarasota, the earlier report said. “It took approximately 5 hours to sort and inventory” the items recovered from the Tangerine Drive house after detectives first interviewed Young, that report continued. Young also was charged with two counts of Criminal Use of Personal Identification Information in connection with the first cases.